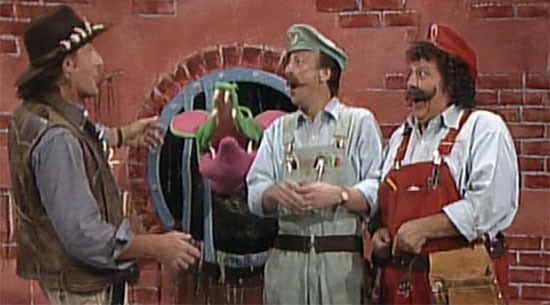 Live-Action Plot: The episode begins with the Marios visiting their best pet, the sewer-dwelling Ratigator, who complains a monster is after him. Ratigator disappears and the great sewer traveling Australian Alligator Dundee appears. He’s after a monster living in the sewers as well, so the brothers team up with him. Following some clumsy net work, the characters realize that Dundee is the monster after Ratigator, while Ratigator is the monster Dundee has been chasing, and everyone feels super awkward about it. Eventually though, the three humans and the hideous sewer beast learn to get along. Animated Plot: Each animated episode of the Super Show begins with some narration from Mario that explains whatever absurd location the crew is traveling through which begins “plumber’s log…” Until this episode, I always groaned in pain at the toilet humour, but this time, I guess accidentally, the line actually comes off vaguely clever. Mario and team are speeding through space, and “plumber’s log” comes off as a Star Trek reference. Team Mario crash lands on an alien world inhabited by small double-nosed aliens called the Quirks. Sadly, these green men are not free, but rather enslaved by Moon Man Koopa, who is apparently not the same individual as regular Koopa. Mario leads the Quirks in a glorious revolt after delivering his own take on a “workers of the world, unite” speech which results in an opportunity to escape. 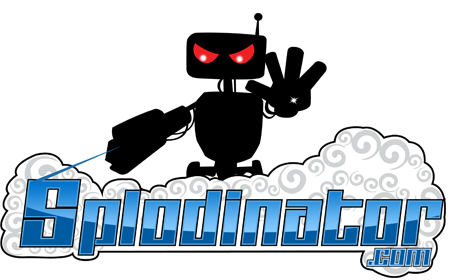 The whole thing climaxes with an epic space battle in which Koopa’s meteor guns fall to Mario’s spaghetti firing ship. Horrible Stereotype Alert: This episode blends the series’ ongoing Italian jokes with fresh material for Australian victims. The Marios remain the same old pasta loving slobs they’ve always been, while Not-Paul-Hogan acts like Paul Hogan, who is apparently the living embodiment of Australia.